One of the (many) things that I pride myself on is the ability to adjust: very few (to zero) environments exist where I wouldn’t be able to survive or have a good time. And never has a statement rung more true than when it comes to sports. I’ve always been that (random) girl who’d fill-up the stands, well, because I can, and it costs very little in return for the greatest of rewards. If an activity is regarded as “sport”, then chances are I’ll watch it. Okay, this is not entirely true. In high school, my uncle tried (to no avail), to convince me that boxing is ‘cool’. (I’m from the Eastern Cape, this is a prerequisite). He died trying! As you can imagine, generally, it doesn’t take that much convincing to get me to a stadium, field or court. So when I received an invitation to go and see SA Hockey in the Champions Challenge tournament, I was like a kid on Christmas Eve (and I don’t even like Christmas). As you may remember from this post, it didn’t go too well. I went to see the Bronze medal match and while signing my shirt, I got to chat to some of the players. They were very cheerful about winning the bronze, but couldn’t hide the sadness of what coming third meant. These players included one Wade Paton, a trusted midfielder, who gradually agreed to be a guest on in(TRACK)suits this week. He shares the loss from a player’s perspective. 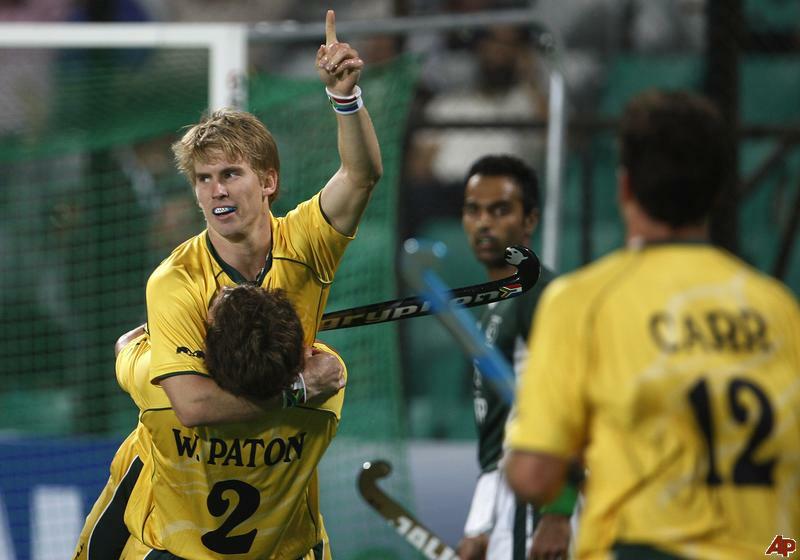 “Although we lost out on our Olympic Spot, we have gained a tremendous amount as a team. 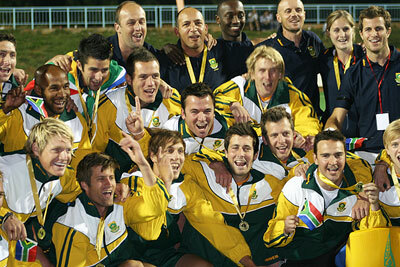 Not many teams would have been able to pick themselves up for a third / fourth play-off like the SA Hockey lads did. Being dealt the blow of withdrawing from the Olympic Games on the Saturday was disheartening, yet we came out with one of our best performances against a highly ranked Argentinian side the very next day to clinch the bronze medal. We played some really attractive hockey at times during the tournament. And for the first time in many a year our games were broadcast live on SuperSport, this was encouraging for us! Finally many people, who have never seen us, were able to see why we do what we do. Hopefully we have made a few people sit up and take notice of our professional outfit. The loss of that Olympic spot has added fuel on the fire for an extremely determined group of people, who have a dream of going to the Olympic Games. We will stop at nothing to get to the London Olympics. We have put in the extra yards both on and off the field and we have no doubt in our minds that come the last qualifying tournament in Japan, we will be as ready as we can possibly be. There are a few tough teams at the tournament, including Japan and China. We have however had some good results against both these teams in recent history; this reason will be an extra mental boost. However there’ll be the unknown factor, presented by teams such as Cuba, Austria and the Czech Republic. Unfortunately (or fortunately), we have not faced these outfits, therefore we will have to do a very detailed analysis to make sure that we are not faced with any surprises, but that works both ways. As a team we believe wholeheartedly that we deserve to be at the London Olympics. Our approach to the qualifying tournament (in Japan) will not be one which is driven by the pressure of qualification but rather driven by the craving for success. My very best wishes to all of you! I was simply trying to convince him to start a blog. He told me to first read his Liverpool season summary. I told him not only will I read it, but will post here if I like it. Boys and girls a fellow LFC lover making his blogging debut, closing off the 2010/2011 season in the life of the Reds. After a pretty dismal end to the 2009/2010 season, hopes were high for the next season, I mean a new coach and all – Roy Hodgson – we were at least expecting a bright start, which we did receive in qualifying for the Europa League by beating Trabzanspor, however we exited the competition nearly as quickly as we entered it. It was very disappointing indeed. After a very disappointing start to the league, Hodgson losing his mind, Injuries to key players, no depth as well as owner politics our season was really heading only one way, to the bottom of the log, and that is exactly where we were sitting- the first time I have ever seen Liverpool in the relegation zone –ever! My mind set for the season changed from qualifying for the UEFA Champions league to staying in the Premier League, big mind set change to adopt. After watching Liverpool struggle game in and game out, lots of losses, a few draws and an odd win I was feeling really demotivated, then the changes started rolling in. Firstly Torres left us and to be honest, I think it was the best thing that happened to the team the whole season – besides King Kenny of course – and due to the Torres movement the average goals increased from 1.6 goals a game to 2.5 goals a game- some say Torres was the broken leg in the team as his negative attitude affected the squad attitude. With the dismissal of Torres we saw the departure of the not so many points scoring Coach Hodgson, not really a surprise based on his track record (7 wins, 4 draws & 9 Losses) and after plummeting Liverpool to a 57 year low the only way for him was the way out. No Coach, mid table and hoping for the best we continued to push on based on the rumour that Kenny Dalglish will be coming to be our temporary coach for the remainder of the season, and yes, it became official that King Kenny will coach us- this was the emotional, positive mind switch that Liverpool Football Club needed, a great Legend to turn us around, and man did he do that. With not much else to do but pick up pieces King Kenny started looking into the base of players on hand as well as a new buy, our super striker Suarez- even scoring a gaol on debut- equalling Torres season tally. King Kenny looked into the depth of our squad as choices were limited and brought back players such as Maxi (Scoring two hat- ricks in 3 games) as well as some of our younger players, Robinson and Flanagan, with an average age of only 17 and a half years old. All in all a good end of the season managing to push us up to 6th position when everybody thought we were done and dusted. King Kenny turning the Liverpool season around by great squad rotation as well as the introduction of our youth and they played well. This resulted in King Kenny scoring 30 points (9 wins, 3 draws and 3 losses) in the second half of the season, the most by any coach ever in the premier league, great start! Yes it must be admitted that Liverpool still has got a lot of work to do, we do not expect to win the league next season but we would like to challenge and at the least qualify for the UEFA Champions League again. The owners have given us a decent budget to work with and with the combination of experience and youth I am expecting a great 2011/2012 season! • Qualifying for the Europa League Cup – even though it was short lived. 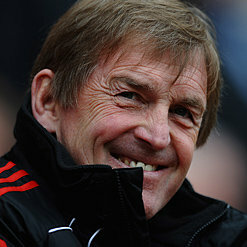 • Signing Kenny Dalglish as our coach. • Dirk Kuyt scoring an amazing hat-trick in that game. • Having a winning streak and seeing 13 goals scored in 3 games. • Exiting the Europa League Cup due to a 0-0 draw with Braga. • Steven Gerrard injury which cost him most of the season. • Losing to Spurs costing us 5th place- even though we were lucky to be there! Pepe Reina- always a great team ambassador, always on form and defiantly saved Liverpool from many more losses with his amazing saves. Fernando Torres- suffering from a really poor World Cup in South Africa, he stayed in that dip and certainly cost Liverpool a few points due to his lack of ball control and finishing. Glen Johnson- even though his season was injury ridden, when he did play he played really poorly, since King Kenny has arrived he has improved, defiantly need to watch this space next season. Martin Skytrel – after playing with a concussion in the first match against Arsenal, he proved tough to deal with in the defence and played nearly every game of the season, he is fit and strong and will shine again and again. Dirk Kuyt- do I need to say more, the name says everything, a great Liverpool ambassador as well as a fantastic player. His work horse approach to the game always results in assists and goals- including that amazing hat-trick against Manchester United. Lucas Leiva – His consistency and self –improvement this season gave him the Standard Chartered Player of the season, and it was well deserved, he had a great season and is defiantly going to play a big role in Liverpool’s campaign next season. 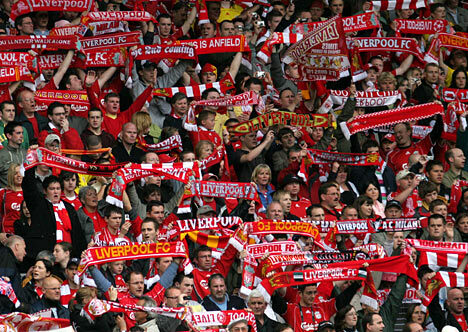 Raul Merieles – Just started finding form, has fully accepted the Liverpool Family Spirit and has scored important goals in important matched. Maxi Rodriguez – I mean he has scored two hat-tricks in three games and we cannot ignore this. Louis Suarez- I think the flood gates might be opening for him soon and yes, goals will be flowing. Andy Carroll- If he finds form, the Suarez and Carroll party will start, the short and tall combination could prove deadly and make our next season great! To some this season up in one word I would have to say Grateful, we are grateful to achieve what we have achieved and are hopeful for next season, let’s hope King Kenny uses our transfer budget effectively and gets the great name of Liverpool back on the map again. Its the end of the football season and while rugby has had my attention in the past few weeks, in particular the last hurdle of Lady Rugga I have enlisted Samantha Robinson to sum up the 2010/2011 season for in(TRACK)suit. As the 2010/2011 football seasons comes to an end I get the same feeling I had on the 13th of July 2010 when the World Cup ended. The only reason I haven’t cried is because it is only two months (two months of boring weekends may I add) and then it is back. I guess this is a good time to reflect on the season that was – the good, the bad and the sometimes ugly! I could think of no better way to do this than involve those who make my football weekends that much more interesting – my friends on Twitter who are never too busy for a good old banter or chat. Thanks for all your comments and I look forward to next season where we can start afresh. 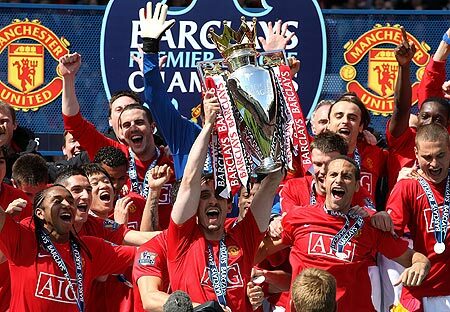 I guess it is only fair to start with the English Champions Manchester United – by far my least favourite team in the EPL although I cannot dispute that they had an amazing season. The biggest Man United supporters I know are @sangxa and 17 year old Sri-Lankan known as @236meli. After the game on Saturday when his team lost to Barcelona @sangxa sent me this: “Losing to Barcelona was hard to take, but as a football fan I know that on the night we were beaten by the better team. Overall I am happy with the season, an FA Cup Semi-Final and winning our 19th League title is what makes me a proud supporter. I was pleasantly surprised when, out for a work dinner, I discovered one of the girls at a fellow agency is also a HUGE football fan and equally surprised when I heard what a big United Supporter she is. @marislee I look forward to going through a whole season with you and having something more to talk about than nappies and tissues. 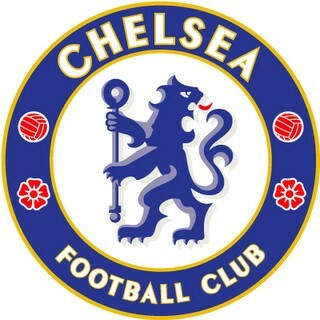 Next up is my team – the Blues, Chelsea! Well what a season we had – we started off with a bang and it looked like no one could stop us but then it started going downhill. 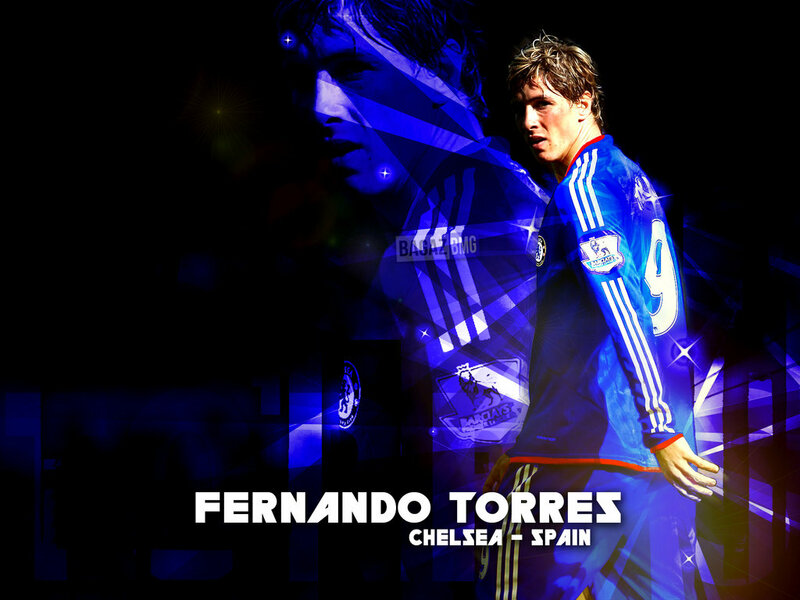 The biggest news of the season was the move of Fernado Torres from LFC to Chelsea. I won’t lie I was over the moon – I thought he would be brilliant for us. I thought that the change would lift his spirits and his game and at the same time help Chelsea get back on track. But I was wrong. I watched one game after the next where he just could not score and I moved beyond feeling sorry for him to actually not liking him (nearly hating him). Finally he scored, after 14 games and 734 minutes, against West Ham United. But that is where it ended and he was not able to get another one in the back of the net for the rest of the season. Although we finished second for the season – there is a lot that just didn’t happen. I must agree with @tyronlSA that the highlights and low lights for any Chelsea fan were our games against Manchester United. A big highlight was the 2-1 win at Stamford Bridge. That was the game of the season for me – I have not seen such a display of football for a long time. But they also broke our hearts in what was called the title decider where they beat us 2 -1 at Old Trafford. When Hernadez scored his goal in the first minute I knew it was over. With Ancelotti fired and rumours of Pep Guardialo and Kaka joining the Blues, I wait in anticipation for the 2011/2012 season to kick off. Although Liverpool has been breaking their supporter’s hearts of late (and we know how passionate the LFC supporters are – ask my good friends @derekm11, @KateNokwe and @kojobaffoe ) they can be happy with the way their season ended. Although next season will the first time in 11 years that they are not Europe I believe they ended off their season better than they started. @derekm11 says that at the beginning of this season his mindset changed from expecting the team to qualify for Champions League to hoping they would stay in the EPL. @kojobaffoe said that at a stage watching games felt like going to the doctor’s offices – necessary but painful. Although they lost their last two games, the fact that LFC can still beat United 3 -1 and win with scores like 5 – 0 against Birmingham, 3 – 0 against Newcastle and 5 – 2 against Fulham show what King Kenny is capable of with his team. Of course the big news for the club was selling Torres to Chelsea. Although at the time the fans were angry about it (and most of them still have bitter feelings about what Torres had to say) they are over it and enjoy what the two new comers – Andy Carrol and Luis Suarez have brought to the LFC game. 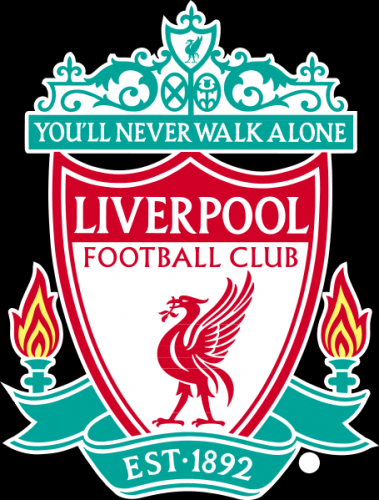 I believe that LFC is a team to watch next season – they don’t have to worry about Europe and concentrate on the other important titles and improving their game. Do you think it can be 19 – 19? I think it will be close. Who do you think had the worst season? I definitely think Arsenal. My memory of watching the Arsenal games this season were that of watching my husband and Granddad cringe with embarrassment as well as Arsene Wenger throwing water bottles around. The season was one of ups and downs and who knows this better than @Tyronbarnard who tells us of his highlights and low lights: Arsenal was within one point of MFC at the end of February and looked like they would be worthy competitors for the EPL trophy but they finished 4th for the season. Beating Barcelona, at home, in the Champions league only to lose 4-3 on aggregate and being knocked out of the cup. Getting to the final of the Carling Cup against Birmingham City but losing in the 89th minute. And who can forget the 4-4 draw with Newcastle after having a 4 – 0 lead. 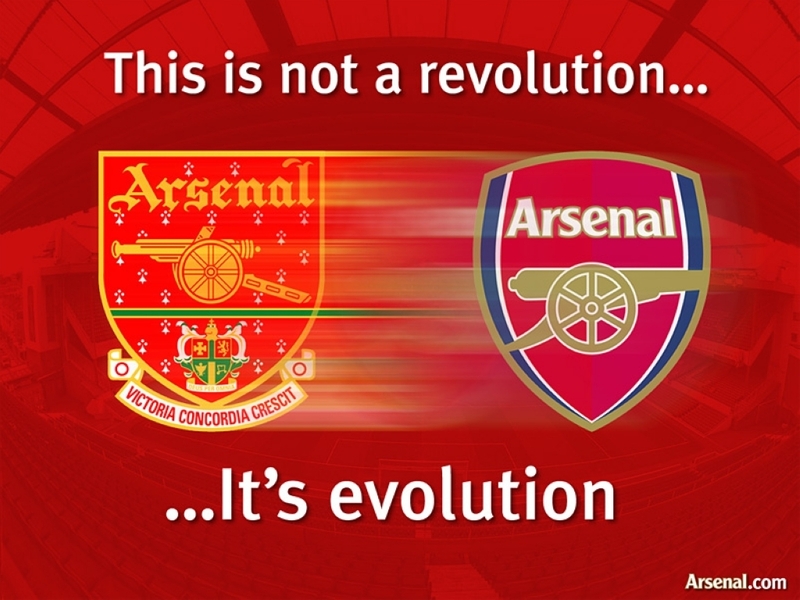 It will be a summer of change for the Gunners, but what happens next year is anyone’s guess. The one form of this wonderful sport that I have not really followed is the South African version. Since the World Cup I have been extremely proud of our country including our football players but I must admit that I still have not followed the PSL or the other cups and tournaments that happen right in our backyard. I do know that the game must be good if the winner of the PSL is decided in the last game of the season and is between four teams though. 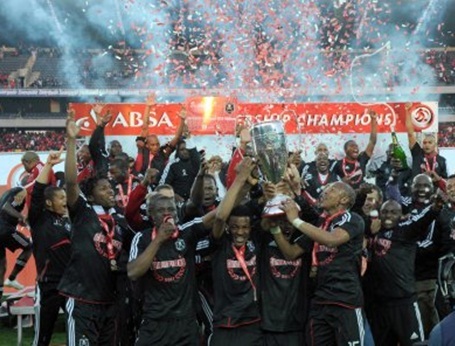 Well done to Orlando Pirates on winning the treble – the first team to do this in SA!! I have now recruited a new friend @khencie to teach me the ins and outs of the SA version of the game. I have already received a rundown of who is who in the PSL so I will go into the next season with my background knowledge on the up. Best believe @khencie I will be asking you loads of questions as we go along. Plus I am also relying on @kyleorton4 to organise me some tickets to watch the game. (By the way follow him because he will be one of the hot players at Bidvest Wits in the next year or two and I could be featuring his game in a blog). So that is the season in a, very long, nutshell! I am sure we will be chatting as we watch to see who is going where with transfers. And I will check you all again on the 7th of August to watch Manchester United take on Manchester City in the FA Community Shield – the start of yet another exciting football season. Samantha Robinson is an Public Relations Account Director at Sabio Communications. From the day I started this page (late last year) I had an ally, one that (not only) faithfully read my post (but) saw them before anybody else – my editor. You’ve often read posts mentioning my ‘sporting loving boss’. Actually she was not my boss in the very core sense of the word(because she didn’t pay my salary and she’s only two years older than me). To this day I often wonder how Samantha Robinson and I got along. I guess it is true what they say – sport can unite even people destined for rivalry. (Okay that’s a bit extreme, read her post and you’ll understand). I have finally convinced Sam to be my first guest blogger. I am a woman and I love sport. I think this has something to do with the fact that I have a grandfather, father and two brothers who are sport mad. I have always been able to give good commentary on most sports (except rugby) and I always find myself gravitating towards the group of men talking about the sporting highlights of the weekend and away from the ladies talking about the shopping highlights of the weekend. I must admit we don’t agree on most things sport. I am Chelsea and she is Liverpool (shame poor girl), she supports the Blue Bulls and I support the Cheetahs, she likes the Proteas and well – I don’t! So most of the time, especially Mondays, we are giving each other a good go. The only time we have been on the same sporting page, well sort of anyway, was during the World Cup. We both supported Bafana, we both had a big crush on Diego Forlan and we both admittedly supported Uruguay. We followed each game, whether on TV at home, radio and our computers at the office (before we convinced our boss to get a TV with DSTV) or Twitter. We were at the office together watching the 16h00 games not wanting to go home until we knew the result and we often found ourselves in our boss’ husband office having an in-depth conversation about the games, goals, results and players. It was safe to say we probably knew more than he did. 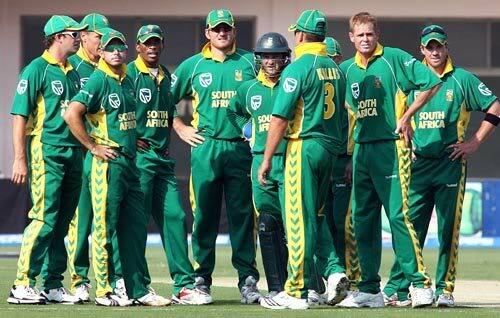 And at the end of the World Cup – on Monday 13 July 2010 we sat at our desks and cried. Seriously. Two girls cried over the fact that the Soccer World Cup was finished. The rest of the office knew not to bring up the subject for at least a week. 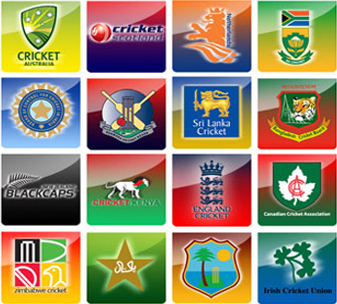 Now we have the next big sporting event starting in a few days – the Cricket World Cup. Although Kate is no longer with us (how I miss you!) we will no doubt battle over Twitter, Facebook and BBM. Unlike the Soccer World Cup cricket brings out the worst in both of us. We become fiercely competitive. As mentioned – she is a loyal Proteas supporter (I swear the girl should be made president of the Graeme Smith Fan Club while I could make millions ensuring Kevin Pietersen’s legacy lives on) And I find it a bit difficult to support our boys. I have tried, trust me I have tried but I struggle. Throughout the series against India I found myself gravitating towards the Indian team. But in the final ODI against India where the series was tied I woke up thinking I will support the Proteas, I will dig deep inside of me and support them until the very end. I thought that this will be a good attitude change leading up to the World Cup. But as with the other games after a few a few over’s I could already feel myself siding with India. And this was when I admitted to myself that I had a soft spot for this Indian team (or any other team name that plays against SA) especially MS Dhoni (or any hot captain’s/player that plays against SA). Being a non-SA supporter I get a lot of flack, as you can imagine, especially from Kate and our friend on Twitter, Mel. Even Sias du Plessis from 5fm has commented on my ability to “stir”. I doubt this will cool down over the next month or so. My team for the World Cup will be England and seeing that they are not too far from being completely South African it is not such a bad thing hey? I have also decided that my other two teams will be India and believe it or not – South Africa (if they don’t play against England or India or my next soft spot team).